Studying with an Energy Arts Instructor is the ideal way to begin your own practice. Bruce has trained over 10,000 students in his lifetime and there is an active community of over 300 teachers in 16 countries. The minimum requirement for any certification is over 60 hours of training with our average instructor having completed over 500 hours of training. 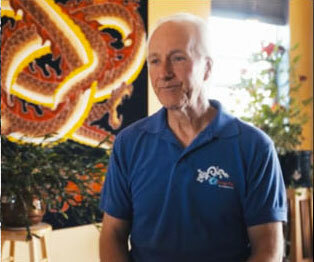 Many EA instructors have founded leading qigong and tai chi schools in the United States and Europe. Many others hold advanced degrees and work as doctors, nurses, alternative health practitioners, therapists and caregivers. They range in age from people in their early 20s to their 70s. Energy Arts Instructors teach independently of Energy Arts, Inc. Energy Arts does not operate these businesses nor does Energy Arts operate a franchise or take a percentage of their income. Accordingly, Energy Arts cannot assume any responsibility or liability for their business and teaching practices. Bruce’s students come from many different backgrounds and there are many different personalities and teaching styles amongst the community. Our aim is to train qualified instructors who want to actively teach the Energy Arts of tai chi, qigong and other Taoist energy arts.